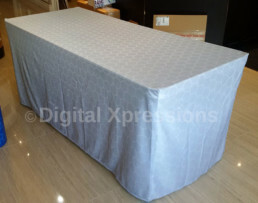 Stretch table throw is the fitted one which you can set very easily. The table top is a mandatory option and can be easily set as it is highly portable and easy accessible. 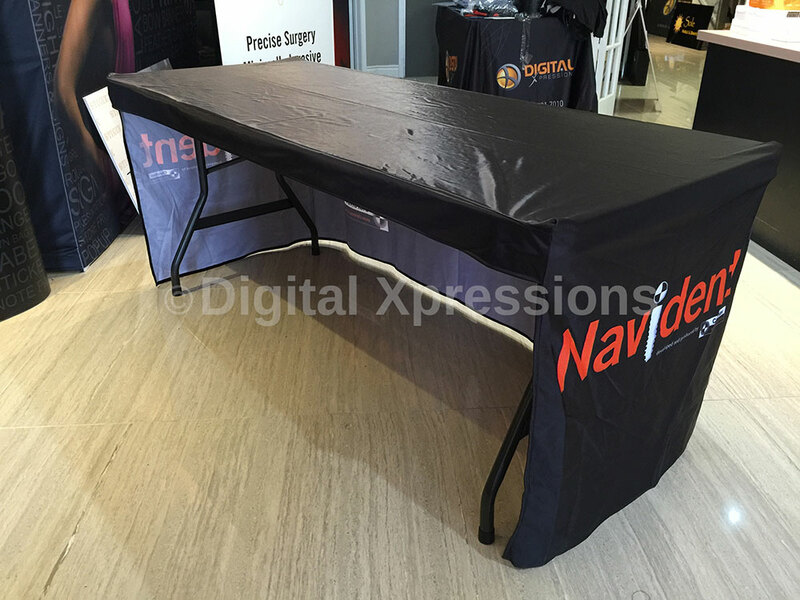 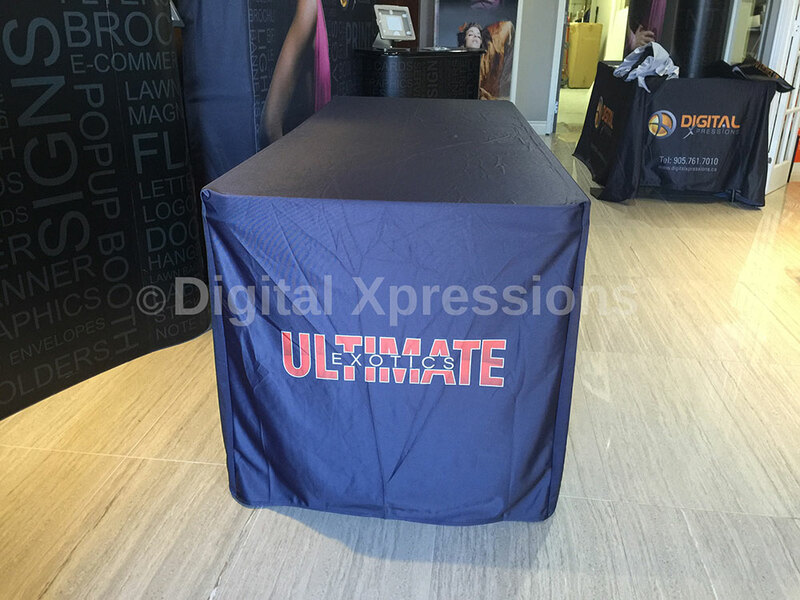 The folding table with fitted table cloth on it, is the best one for quick event arrangement. 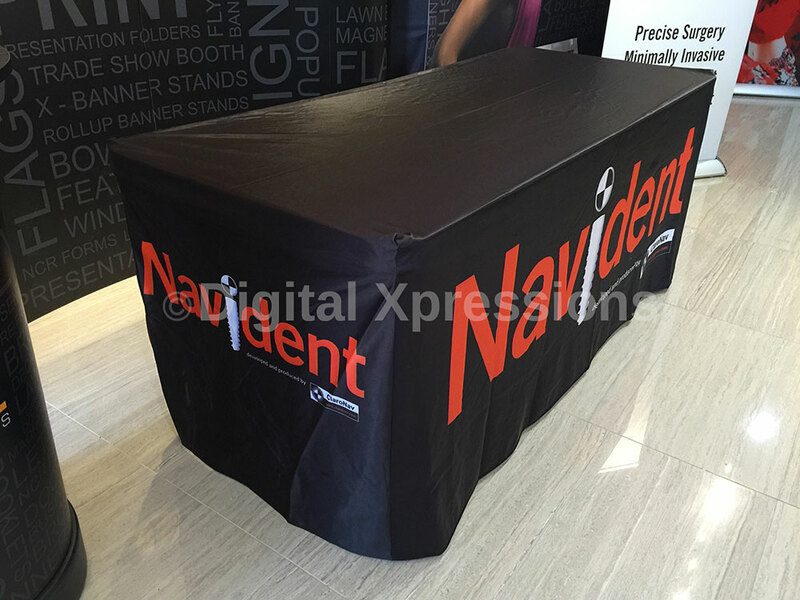 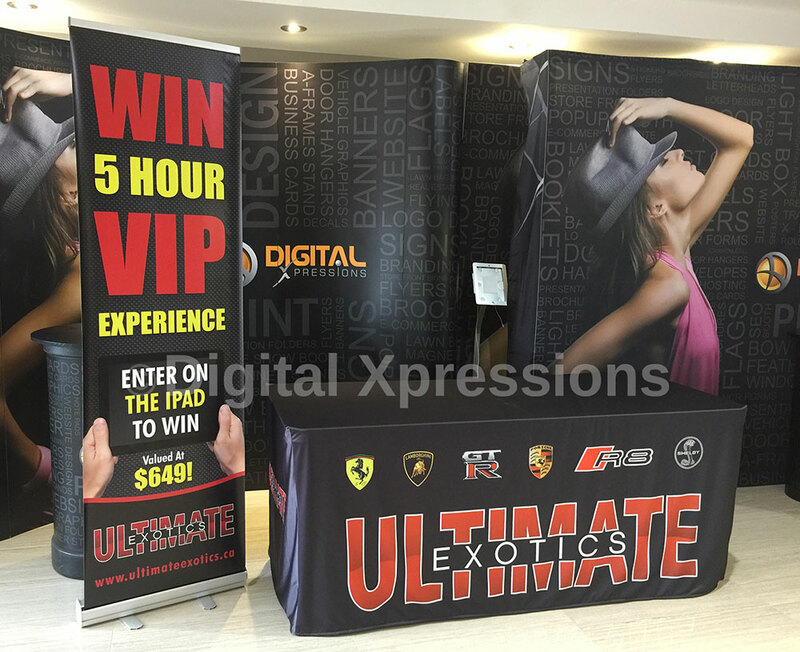 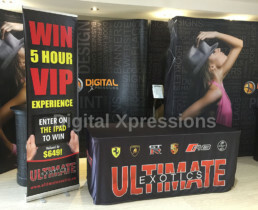 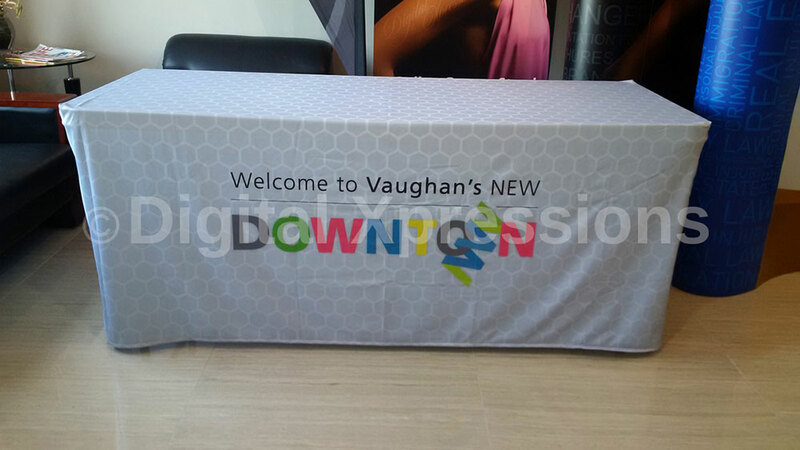 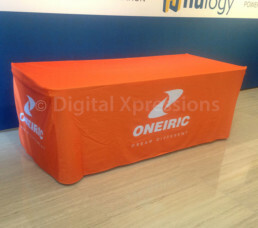 We provide custom size full printed trade show table. Fitted has pockets which hold the counter legs for a secured display. The inner side of the stretch table throw has an open area for store and chair arrangements.